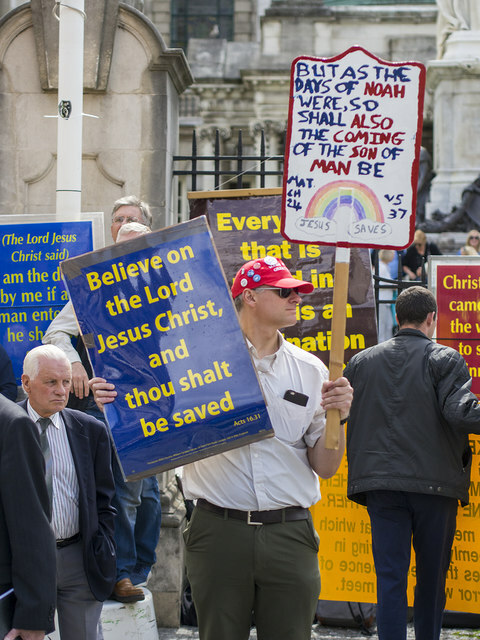 There was a small group of religious protesters in a fenced off area at Belfast City Hall during the festival parade. For the record, the gentleman with the placards appears to be wearing a "Make America Great Again" hat. Quotations from the Bible, often nailed to trees and telegraph poles, are a common sight along the roads in Northern Ireland.